I'm sure most of you gained a few kilos from feasting last holiday season. I myself brought home some holiday weight and thankfully that did not get accounted into the baggage allowance. Nevertheless, I'm really grateful for my gains. Whew! What's your new year resolution? For me, there's many to share and one of them is to keep fit and be stronger than ever. Although aesthetically I will probably change for the better, to me that is just a small prize as compared to other achievements. I need all the strength to be part of my dragon boat team otherwise I wouldn't be able to keep up! Here's a problem I face most times before workout or training. I simply dread the start because it feels like all the energy is drained out of me. I don't think it is out of disinterest because it's quite a journey from home to gym yet I still make my way there. I am just guessing it is out of poor diet! When I was in Melbourne, I was actually propelled by how the people there are into healthy living despite labelling themselves as foodies. Enter any supermarket you will see tonnes of organic fruits, organic Australian made products, and everything that's simply healthier. Sunblocks are cheap too! The roads even have a dedicated cyclist lane. Even their Indonesian food is less oily, less salty and less spicy. So much so it was too bland for my liking. 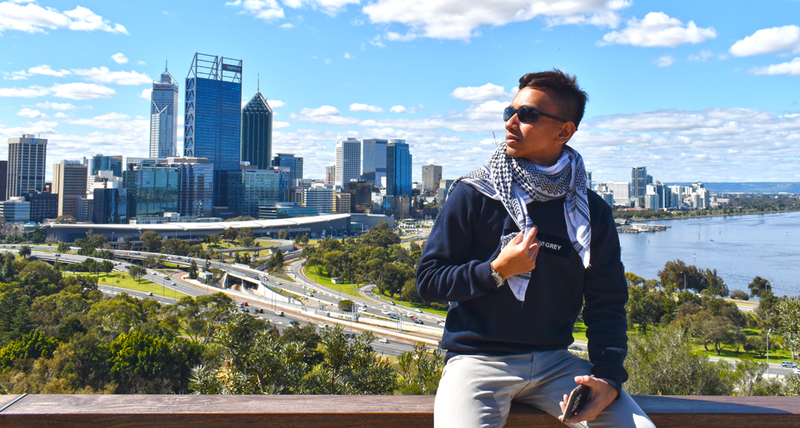 Healthy living is evident in Australia when you see everyone flocking into Chemist Warehouse on boxing day stocking up on supplements and other health products. They are so cheap that renowned brands like Blackmores ran out of stock! It is now my resolution to eat and live healthily because it made me more energetic! It's like an engine living on high octane fuel. However, living the Singaporean lifestyle, I simply do not have the time to cut fruits and prepare such a hearty healthy meal to keep myself energized. I have to resort to supplements to fill in the gaps in my diet in order to perform better! One must always remember though, supplements are not meal replacements! I have been trying out Betancourt Nutrition's pre-workout B-Nox (Bullnox) Androrush which I consume before every workout now, to see if it gives me the energy boost I needed. So far, it has been working well for me! You can get Betancourt Nutrition's products from Elite Pro Nutrition (EPN) here and use discount code ZY 10 for 10% discount on all non-promotional items! They are the exclusive distributor of Betancourt Nutrition supplements. They have promotional sales now and then, so keep a look out on EPN's shopping portal! B-Nox Androrush is the first nitric oxide pre-workout to offer a testosterone boosting blend to enhance aggression and the pump during exercise. The effects are intended to amplify each set that you perform. It made me feel alive with increased strength and improved endurance, all driven forward by the sophisticated formula in this pre-workout. 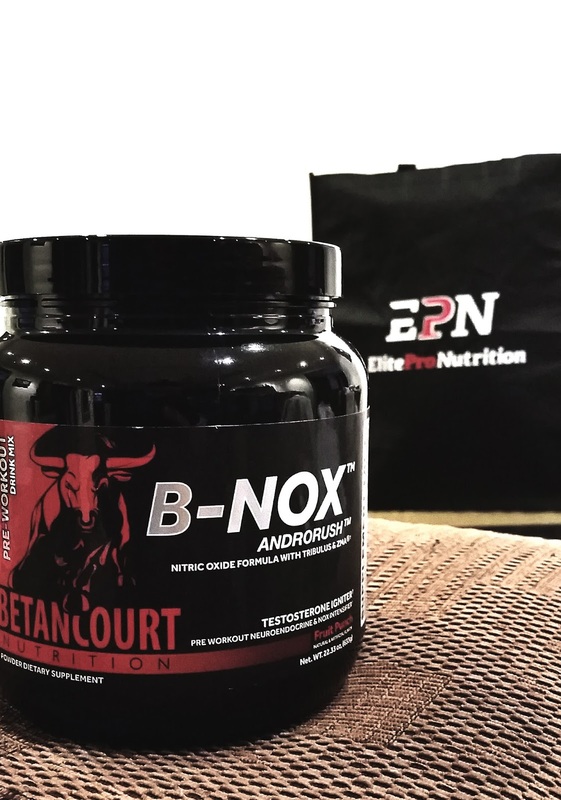 Betancourt's B-Nox Androrush formula claims to support androgen levels as you train, promotes lasting neuro-emotive energy that could help in bigger pumps that lead to more muscle, and strength endurance. It contains the essentials like branched-chain amino acid (BCAA) which can help to protect your muscles against the catabolic effects of dieting - so that you don't lose muscle while dieting, testosterone blend, beta-alanine that raises muscle carnosine concentrations, beet root that helps in improving strength, hypertrophy, and performance in resistance-training, as well as L-Arginine (AAKG) for exercise tolerance and circulation. Its combination of the best ingredients is something rare to find in others when it comes to pre-workout. How does B-Nox Androrush work for you? Apart from boosting energy, B-Nox pre-workout dilates the blood vessel, providing passageway for oxygen-rich blood cells to reach the muscles and tissue, providing a larger amount of carbohydrates, proteins and various muscle-building hormones. Therefore, allowing for bigger pumps that consequently brings in muscle gains. B-Nox to date have been a major help for me. It provided me with motivation, energy, and endurance to push myself during my training! B-Nox Androrush does make me feel like turning into beast mode, but it's probably too early to say beast mode because I look too tame to even use that term. However, it does help me in enduring heavier weight. The formula also gave me that adrenaline rush or rather excitement during workout. It's going to take quite some time to learn how it reacts to my performance because it's hard to tell if what's going on is psychological or biological. What I can be sure is this, it helps in synchronizing the mind and body into the same channel of wanting to achieve more in each set. In workout, we have got to have both! It's like, you can't workout well if your mind says go but body says no. That's when all the injury starts to occur and so on... Don't you think? I usually drink about an hour or less before my training. As I want to avoid the possibility of crashing, I regulate my intake. At times, I also drink it all at once. Either way, I do not experience any crash, but the former intake although having regulated the absorption, by means not enough for the optimum boost. For me, I would have preferred to take it all at once and provide me with the hundred percent boost. Only downside, after some time, the effect wears off faster for the latter. It also depends on what you would like to achieve on that day too anyway. Betancourt has a team that is in charge of flavouring because they know how important flavour is to us. Especially for me! The fruit punch flavour I got is delicious! They have so many flavours to choose from which you can check out at EPN online store but I swear by the fruit punch flavour. It's so nice I almost went for two servings. Which I sometimes do depends on the intensity of my workout. Will update you guys on the other flavours. You can also try it for yourself! Fruit punch flavour has been a popular choice and is usually sold out! A word of good caution. Although the direction says mix one serving thoroughly in six ounces of water, it's a little bit too concentrated and sweet for me so I usually add a little bit more water. All the better for hydration during your workout! So far adding a little bit more water for one serving has not changed the effectiveness of B-Nox. To find out more about the contents of Betancourt's B-Nox Androrush, log on to www.epn.com.sg. Apart from its contents, you can also find out the recommended intake for different levels of workout intensity from beginner to advance. Remember to use discount code ZY 10 to receive a 10% percent off on non-sale item purchases. Free delivery for orders above SGD$40! Elite Pro Nutrition (EPN) Pte Ltd is a one-stop sports nutrition portal for the bona fide fitness enthusiast. With health, fitness and sportsmanship as the three key pillars of the company, they seek to redefine physical limitations. To find out more about the brands they carry and the athletes they support, log on to www.epn.com.sg.